But, like all things in life, changes are something that we all have to cope with, at one time or another. Just as I went through some of the most life-changing alterations to my life and world, many people across the globe deal with changes to their lives that touch their businesses, and that includes their web presences. How we react to those changes often defines us and our businesses, if not for ourselves, then for other people, including our customers. When changes come and we have to adapt our businesses to them, it's important to get perspective on those changes and our reactions to them. Sometimes, the changes are miniscule and customers and clients never notice them. At other times, the changes are huge and require us to be aware of our customers, their wants and needs, and may even involve encouragement, praise, or criticism from our customers. We may even lose a few. 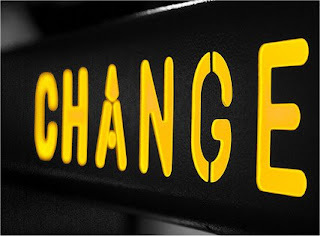 The most important thing to remember is, when changes are thrust upon us, we should look at them not as destructive, negative powers out to destroy us or our businesses, but as opportunities to expand, reach out, be positive, and make positive changes that we may never have had the opportunity to develop without the unexpected change.